If you've ever watched a City Council meeting you may have heard someone refer to meeting materials and noticed Council Members looking at their tablets or phones. Most items on the meeting agenda have supporting material such as reports, research, or suggested wording. 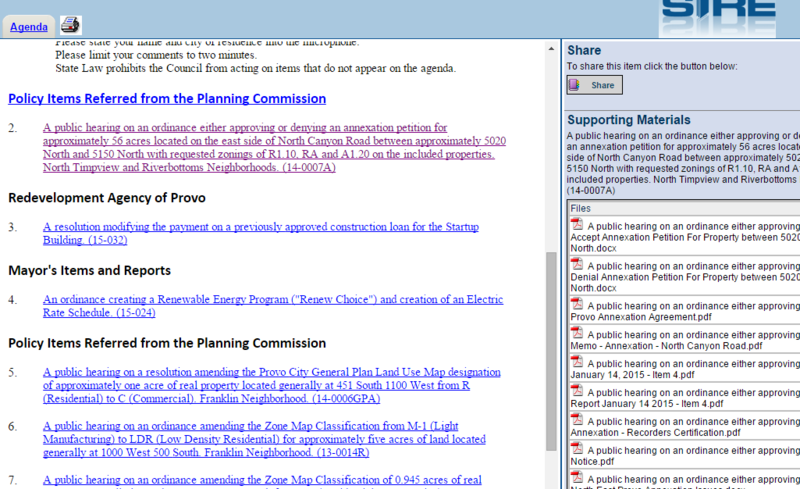 On the public documents site, where all the City Council agendas and minutes are published, you can find those meeting materials as well as minutes and materials from past meetings. If you click on "Agenda" for the meeting you're interested in, you'll be directed to an interactive version of the meeting's agenda. Clicking on an agenda item will bring up any supporting materials in a window on the right-hand side. Now you're ready to follow along during the Council's meetings!